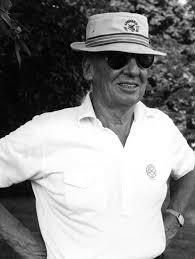 The Williamson Cup was established in 1964 by A. Fred Williamson, in memory of his father, one of the original founders of the famed Winged Foot Golf Club and a long-time member of the USGA Executive Committee. The inaugural event was fittingly held at Winged Foot, and was contested by the four charter Williamson Cup Association Members from Metropolitan New York, Philadelphia, Washington D.C. and Buffalo. Three of the four original cities won the opening three Cup Matches: Washington (at Winged Foot G.C.) in 1964, Metropolitan New York (at Chevy Chase Club) in 1965, and Buffalo (at Atlantic City CC) in 1966. By 1968, the Williamson Cup had already attained international regard as well as wider recognition in the United States. In that year, teams were entered by the Provinces of Quebec and Ontario, Canada, and by Western Pennsylvania. 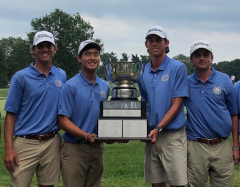 In fact, in its first Williamson Cup Match, the Ontario team won on the first hole of a sudden death playoff, at Garden City CC, to become the first international victor. The Ligue d'Paris (France) participated in 1995, which further extended the unique flavor of the event. The participating associations have varied somewhat during the 40 plus year history of the Williamson Cup, but the core values have been steadfastly maintained. From the very beginning, contestants were expected to comport themselves in a gentlemanly manner, consistent with the traditional etiquette and courtesies of the game. To insure that high standards of social behavior was maintained, and that proper dress and graciousness be encouraged, it was required that all Williamson Cup players be the house guests of member families in the host city. Driving of automobiles by contestants was forbidden, and any and all social activities away from the golf club were to be chaperoned by the respective host families. Family activities, especially those involving children of host families, have been at the heart of the Williamson Cup experience, combining the pressures of highly skilled competition in the world's most demanding game, with the fun and delight of International and Inter-sectional friendships, and true family surroundings. Over the years, lasting friendships have developed between contestants, between teammates, and especially between Williamson Cup players and host families. Fred Williamson envisioned that the Williamson Cup Matches would give a segment of the promising Junior golfers of the day the experience of competition at national and international levels, combined with a two-day baptism of life away from home at the most desirable and uplifting level possible. Thanks to his foresight and to the generosity of the host families, the support of the participating golf associations, and the contributions of the great cities involved, hundreds of young golfers have been better prepared for satisfying and enjoyable careers in Amateur and Professional Golf, and, wherever the Williamson cup players choose to live, their preparation for participating in the rich sociability of golfing lives has been enriched and enlarged.